Recently our friend, Frank Martin, was hanging out with a long time friend of his up in Angeles Crest Forest. 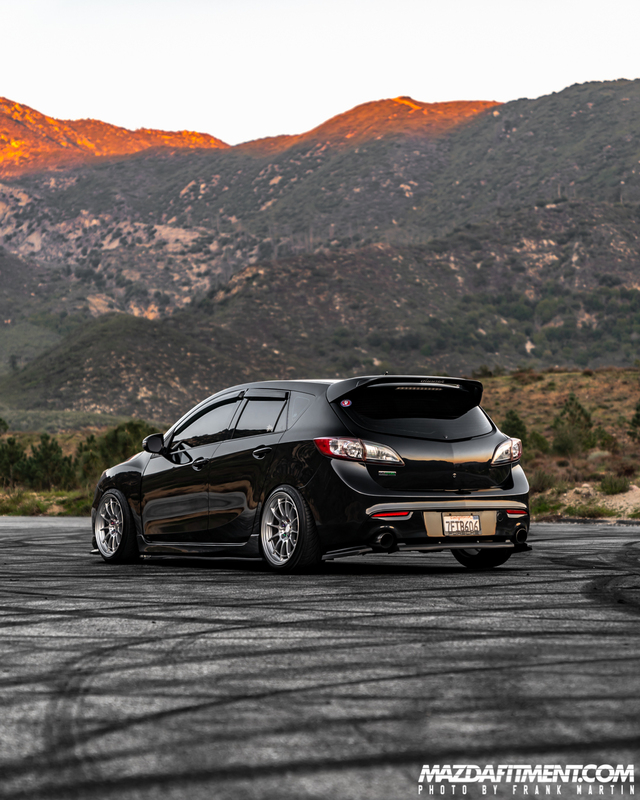 Here we have Ryan Picano‘s Black Mica 2011 Mazdaspeed3 from Upland, California. 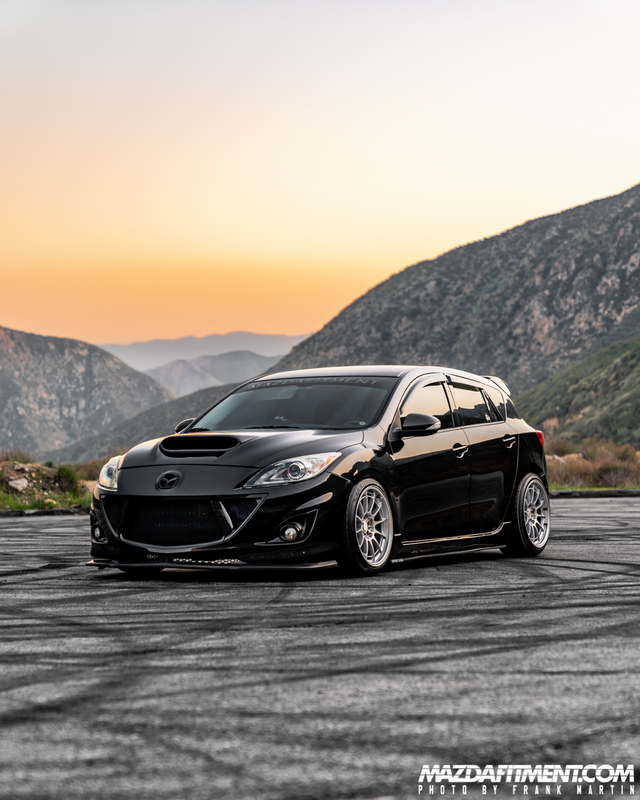 Ryan has simply and cleanly modified his MS3 with MZ style front lip, GV front grille, carbon fiber mirror covers, and Corksport carbon fiber hood scoop. All blend nicely against the black. 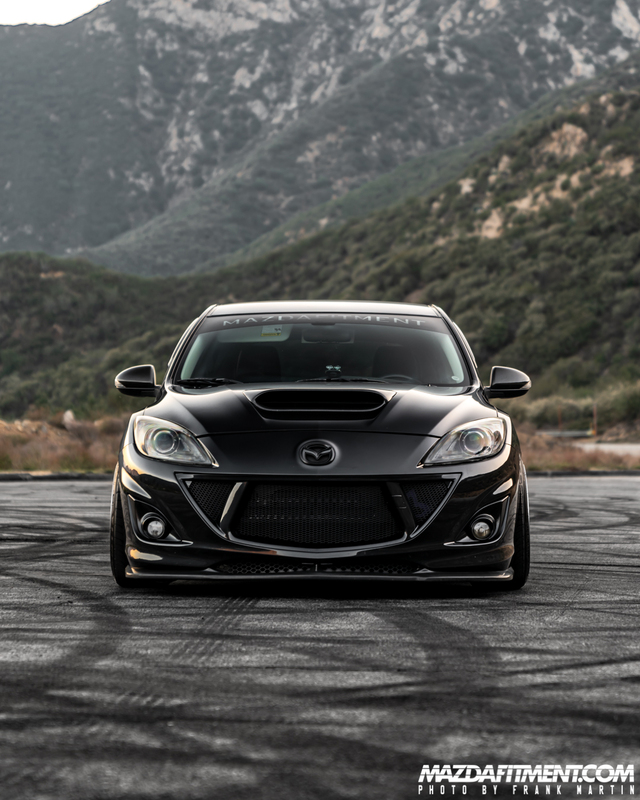 Also seen here is the Mazda Fitment universal windshield banner in matte black, available on shop.mazdafitment.com and shipped to anywhere in the world. 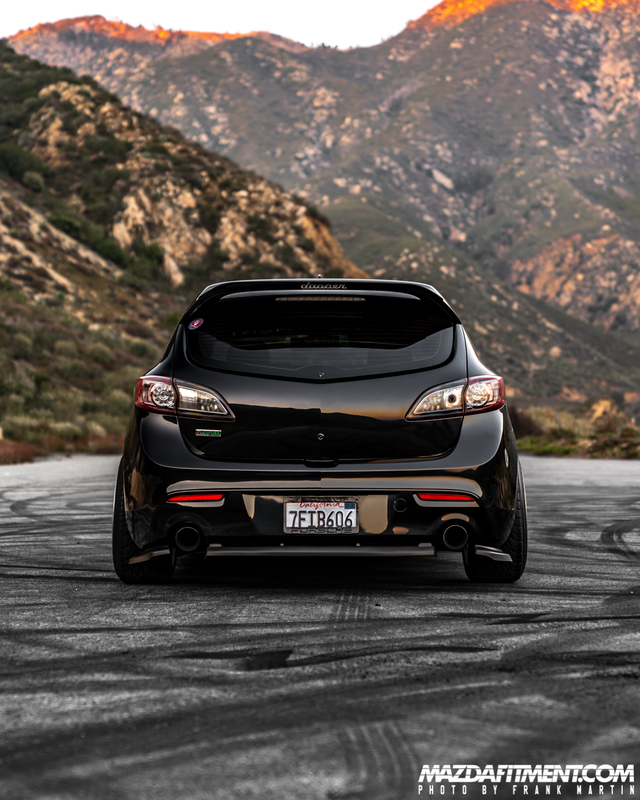 He also added some Amazon side skirt extensions and rear diffuser, rear wing extension, window visors, and rear wiper delete. All adding minimal visual changes to the stock look. 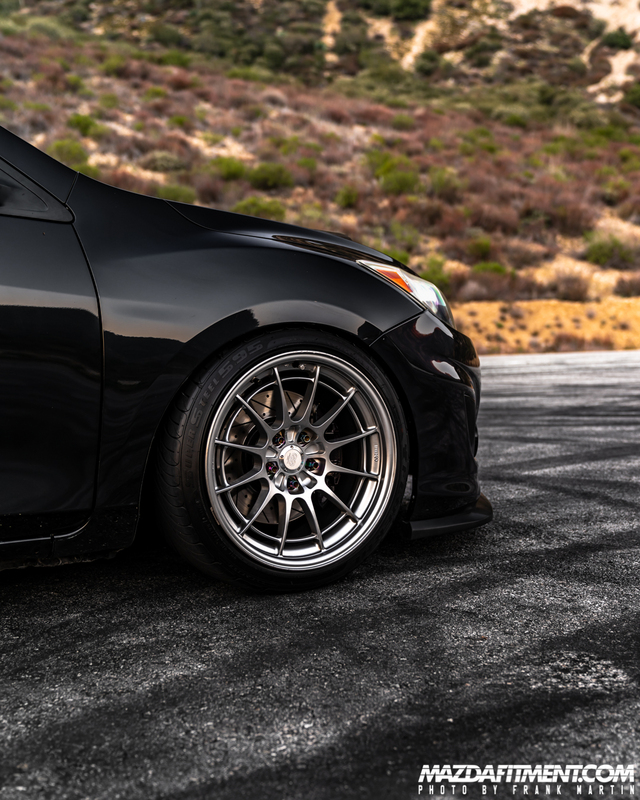 Ryan chose to go with Enkei Racing NT03+M in 18×9.5 +40 with 5mm spacers all around. These look at home on the MS3. Hope you enjoyed this photo set from Frank. Thanks for viewing.